64 pages with colour illustrations and Photos. Slaves took part in the founding of Buenos Aires and in the wars that shaped its destiny. 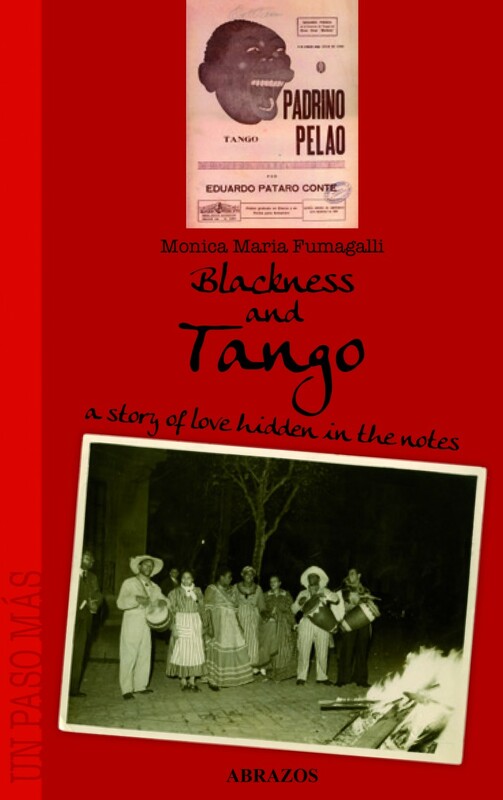 One of the first bandoneón players in history was the son of slaves: it’s difficult to imagine tango as a creation indifferent to the presence of Blacks. Born from an idea of Monica Maria Fumagalli and Emanuela Bussolati is composed of different volumes, as well as conferences held by Monica Maria Fumagalli in different countries in Europe, Cuba, Argentina and documentation discovered during many trips to Buenos Aires. Monica Maria Fumagalli, a professional dancer, has been dancing and teaching for many years. She has translated in italian different Spanish essays including : Il tango e i suoi labirinti (Tango and Its Labyrinths) by Rafael Flores Montenegro, ABRAZOS press; Il tango. Un’appassionata ricerca della libertà (Tango, A Passionate Search for Freedom) by Gloria and Rodolfo Dinzel, ABRAZOS press; Il bazar degli abbracci (The Bazar of Embraces) by Sonia Abadi, ABRAZOS press; Tango senza fine (Tango With No End) by Rafael Flores Montenegro and Carlos Gardel, VIENNEPIERRE, Milan. Emanuela Bussolati has dedicated most of her professional career to publications for children. Her books have been published in many languages and have been awarded various prizes. She has been fascinated by the complexity of the language of tango, its dance steps, but also its music, history, legends, and intermingling of different races. To share this wealth of culture, she believed in and started the project Un paso más. TANGO. The structure of the dance 2. The Matrix. Mauricio Castro´s book offers a new system to help tha dancer creatively develop his/her tango using solidly established technical foundations. 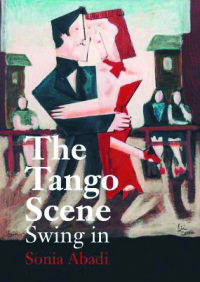 In this unique new book, Michael Lavocah takes you on a compelling journey through tango music. He introduces the key individuals who shaped tango history and explains how they influenced the evolution of this music, telling their stories in a series of lively vignettes. “El bazar de los abrazos”, written by Sonia Abadi, takes us through the world of dancing tango where men and women are the main characters of this universe of dreams and reality. Through its pages we travel to the milonga, “a permament emergency room for those who suffer the lack of tango, life and acquaintances”. Osvaldo Pugliese (1905-1995) created a new style of tango music that was beautiful, warm and powerful – the most passionate and intense that tango has ever known. He formed his orchestra in 1939 from a cell in Argentina’s most notorious political prison. Standing firm against decades of persecution for his communist beliefs, he eventually led his musicians and his devoted fans alike to a triumphant night at one of the world’s grandest opera houses. 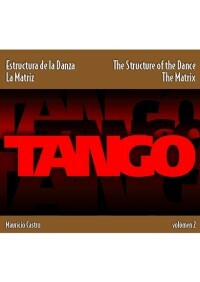 Key Tango Argentino dance terms + 1 DVD showing 285 Tango words and movements. 100 pages with photos + 1 DVD. The New Glossary of Tango Dance comes is the result of a 10 year long thoughtful research. Its first edition, published in 2004 was an outstanding success. It´s demand all over the world made it be re-printed several times.